The main aim of education loan is to give financial assistance to the deserving and meritorious students aspiring to further enhance their education in India or abroad. With the professional courses becoming expensive, most of the students have now started to take education loan either from nationalized banks or private financial institutions. Education Loan in India helps students to realize their dreams and achieve their goals by accomplishing their future endeavors. Education Loan can be your child’s ticket to quality education in a reputed college. However, before applying for an education loan from any institution, consider all the risks and seek expert advice. If you are planning to take a loan then InCred Finance which is one of the leading NBFCs in India, can be a good choice as it provides 90% coverage for your education expenses such as tuition fees, library fees, admission fee, travelling expenses, hostel fees, etc. In order to make the lending of education loan easy and quick, they have even leveraged their platform with technology and data-science focusing mainly on the needs and circumstances of their borrowers. InCred Finance offers education loans that are customized depending on the needs of the perspective students. They provide special loan offers and schemes to the individuals who are planning to study in the US or other countries. You can apply for an education loan from InCred Finance through Afinoz without having to make multiple visits to the bank by submitting all your requirements and the required documents online. As Afinoz has an exclusive collaboration with InCred Finance, the process of application and approval of an education loan through Afinoz in InCred is much easier and quicker. InCred is a renowned Non-Banking Financial Institution (NBFC) established in the year 2016 with its corporate head office in Mumbai, Maharashtra, India. It was founded by the former Head of Investment Banking and co-head of Banking and Securities for Asia Pacific of Deutsche Bank, Bhupinder Singh while Anshu Jain, the former co-CEO of Deutsche Bank and M D Mallya, the former chairman of Bank of Baroda were named as the chairperson of the Advisory board of the company. InCred Finance provides a wide range of financial services and products to its customers in the areas of loans such as Education Loan, Consumer/Personal Loan, Home Loan and Lending to small and medium enterprises or SMEs. In August 2016, this NBFC was able to secure Rs. 500 crore as its funding from angel investors and private equity firms. Afinoz.com is India's foremost online financial marketplace for availing loans and investments. Our main objective is to make the process of getting a loan or making an investment safer, convenient and hassle-free for individuals. We work with public and private banks, NBFCs and mutual fund houses across the entire country and offer an unbiased quotation on financial products. You can contact our team to get more information or apply for a loan or investment by calling on +919899889816 or by emailing at info@afinoz.com. Afinoz.com provides solutions which are quick, reliable, transparent, confidential and above all free. Higher loan amount: A borrower can avail an education loan from InCred of upto Rs. 40 lakhs for education in India without providing any collateral. The amount can be Rs 1 Crore for Education in Foreign Country. InCred Education Loan eligibility and InCred Education Loan interest rates can easily be evaluated through and seen on Afinoz. If there is any query about InCred Education Loan application, you can log on to afinoz.com or give us a call at +919899889816 or mail us at info@afinoz.com and get all the solutions at one go. Query: What is the maximum loan amount I can get for studies in abroad? Reply: InCred usually funds 90% of the education expenses. Applicants can get a loan amount of Rs. 10 lakhs to upto Rs. 1 crore for funding their education. Query: What is the tenure of education loan from InCred? Reply: The average tenure for an education loan by InCred ranges between 5 to 7 years. However, some applicants can even get a maximum tenure of 15 years for higher loan amounts. Query: What is the interest rate on education loan from InCred? Query: Is there a prepayment penalty by InCred on education loan? Reply: InCred does not charge any prepayment penalty on education loan to the borrower. Query: Can I get an education loan of Rs. 40 lakhs for studies in the USA from InCred? Reply: You can get an education loan of Rs. 40 lakhs from InCred if you are planning on pursuing MS in the USA and your GRE score is more than 325. However, you are required to provide collateral of the value equivalent to the loan amount. Query: Is there any concession for female students on education loan from InCred? 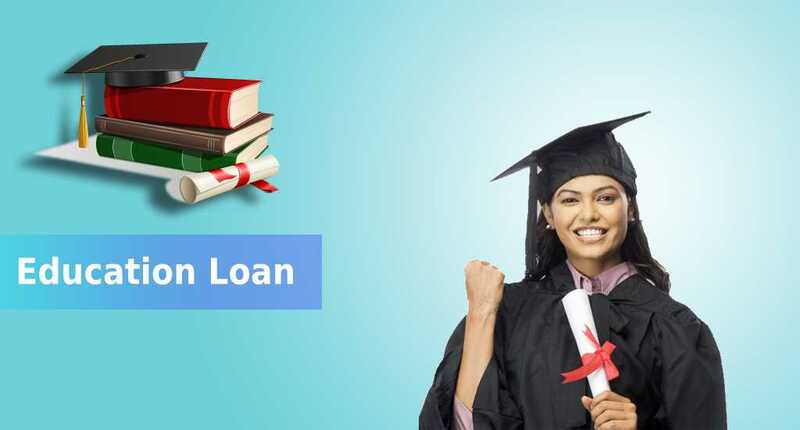 For any query about InCred Education Loan application, you can log on to afinoz.com or give us a call at +919899889816 or mail us at info@afinoz.com.